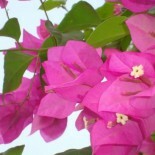 An inspiration sparkled my coaching path when I was going through the self-discovery journey. 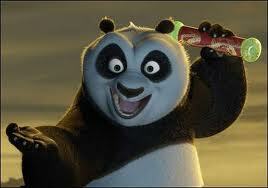 I watched “Kung Fu Panda – I” movie. This American animated movie was initiated in May 2008, directed by John Stevenson and Mark Obsorne. It is all about the motivation towards changing current attitude to another positive attitude to reach the destination of the self-belief. I find it very appealing and truly authentic to the values and skills that I work on with my clients towards reaching their true and unique selves. It was really stimulating when Kung Fu Panda had the underlying believes that the magical scroll that has secret ingredient for the needed power to make Panda the special and strong warrior to save his country from danger. But apparently there wasn’t any secret ingredient for power and success. When Kung Fu panda opened it, he saw a reflection of his face. He didn’t find any source of power nor treasure; he just found his face reflected on a mirror. The message, which Panda received, was to believe in himself and believe in his capabilities. Moreover, when Panda’s teacher, Master Shifu, wanted to teach Panda some of the challenging tricks that will support him in his journey of saving his country from the danger, Master Shifu decided to motivate Panda. Panda was motivated by food, as it’s the only thing in life that pushed him toward his end in mind. And, YES! It worked very well with Panda. This approach raised the confidence in Master Shifu when dealing with Panda and triggered the challenging spirit inside Panda, which lead to the powerful Kung Fu Panda, the warrior of his country. 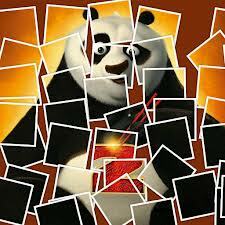 When Panda realized that it’s all inhibited inside him, it made him rethink and view life differently. It’s all about his self-awareness and self-esteem. It’s about the way he viewed himself and believed in his capabilities and abilities. When panda was motivated by his master and was acknowledged by his teammates for his great effort, it gave him the power that he didn’t notice before. What’s really amazing about the coaching and the movie, that I see clearly the positive impact of the self-discovery, which connects the movie to the coaching process. This entry was posted on July 3, 2013 by Dina El Nahas, PCC in Coaching, Motivation, one-self, Self-discovery, self-esteem.